You are here: Home / Main / It’s A Lily Day!! Happy Catholic Schools Week 2019! 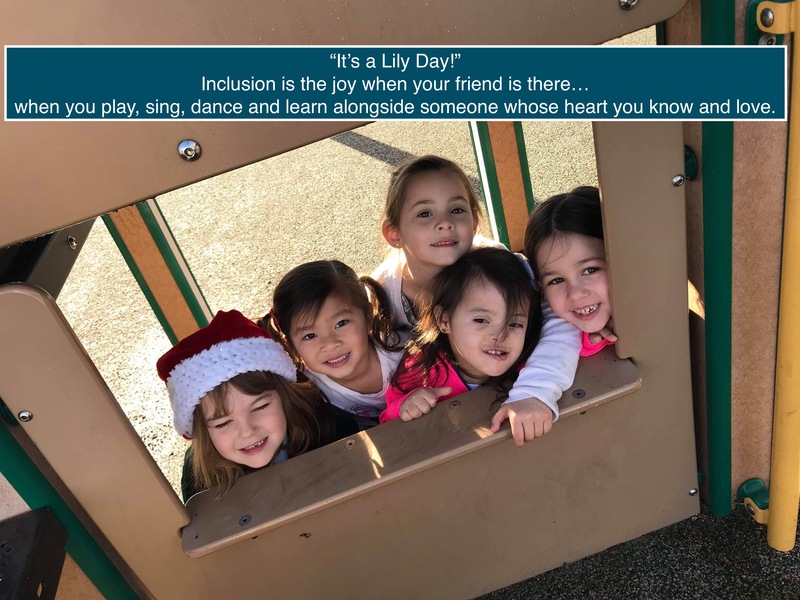 “It’s a Lily Day” That’s what the students at St. Catherine of Alexandria Catholic School in Riverside, California cheer when they see their classmate come to school. Lily is a student with Down Syndrome who is fully included in their Transitional Kindergarten class two days a week. The other two days a week, Lily attends a Special Education preschool through the local school district. This “Blended Program” is what is necessary for students with Down Syndrome to prove to the public schools that students should begin their school experience fully included. Many parents trust the public school system and feel grateful for a preschool opportunity for their child with a disability. However, if they only accept the Special Ed Preschool setting and do not also have their child attend an inclusive traditional preschool, many families will be surprised to find that the transition to public school kindergarten will mean transitioning into a segregated kindergarten setting. The public school system begins with an idea of “other”. It places the child in a separate special needs preschool and without any other option, parents agree. They don’t know that they are agreeing to a lifetime of separation. They have no idea that a special education preschool setting might prevent their child from ever being included in their entire public school school experience. Lily’s mom dreams of Lily being fully welcomed at St. Catherine’s for her entire school experience kindergarten through 8th grade. 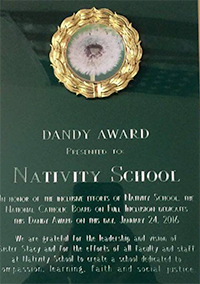 When she approached St. Catherine’s, they said YES to Transitional Kindergarten. Their big hearts, wide eyes and ability to see the whole person know Lily as a friend and when she shows up, they are delighted. Our faith tells us that’s exactly what God does. 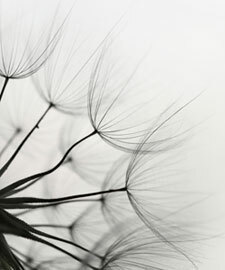 He delights in our presence…cheers us on…and sees our holy gifts. He knows we are better together. His joy in unity and connection is our joy. Currently only 2% of Catholic schools are inclusive. Thousands of families are standing on the sidelines waiting for a welcome. There are estimated to be over a million empty seats in Catholic school classrooms. It only makes sense to open the doors, find a way to welcome all learners and live our faith out loud for all to see. It makes more than sense…it’s what our hearts know should happen. This Catholic Schools Week, we honor the 175 schools on our map. We high five your courage to be bold in Radical Kinship. We congratulate the dioceses who have taken the bold step to set a vision as an entire diocese and move to training and educating their entire diocesan-wide group of educators in this important mission. You can see who these leaders are on our Inclusive Map as well. We honor the advocacy organizations who support the schools and dioceses who want to be inclusive; those who raise money and raise awareness and show the world what is possible are true heroes of inclusion. We honor the Catholic universities who are offering professional development for Catholic school teachers so that they have the skills and evidence-based best practices to become truly inclusive educators. We high five, salute, cheer and honor the educators who make inclusion happen in Catholic schools. You are the true rainbow unicorns…the ones who hold the vision and work the magic. You know how messy and difficult and worthy this effort is. YOU find the resources, ask the questions and persevere even during the difficult moments when it seems too hard. Next week we will welcome over 50 Catholic educators to San Diego for our 2nd Inclusive Catholic High School Conference where we will learn about best practices and see Peer Mentor programs (an evidence-based best practice!) in action at both the K-8 level and the 9-12 level. Shout out to St. James Academy in Solana Beach, California – https://www.saintjamesacademy.com – and Cathedral Catholic High School in San Diego, California – https://www.cathedralcatholic.org – for allowing us to peek into their schools next week. Finally, we acknowledge the gift of our students with disabilities. It is YOUR sacred presence we see. It is only with your presence that we are whole. Only with your insight and perspective and voice that we can finally hear what matters. We thank these students for showing us the way. Inclusion in Catholic schools IS possible. See the beauty of inclusion here…in our video of Belonging – Our One Word for 2018…and follow us on Instagram @inclusionchick to see our One Word for 2019: Encounter.